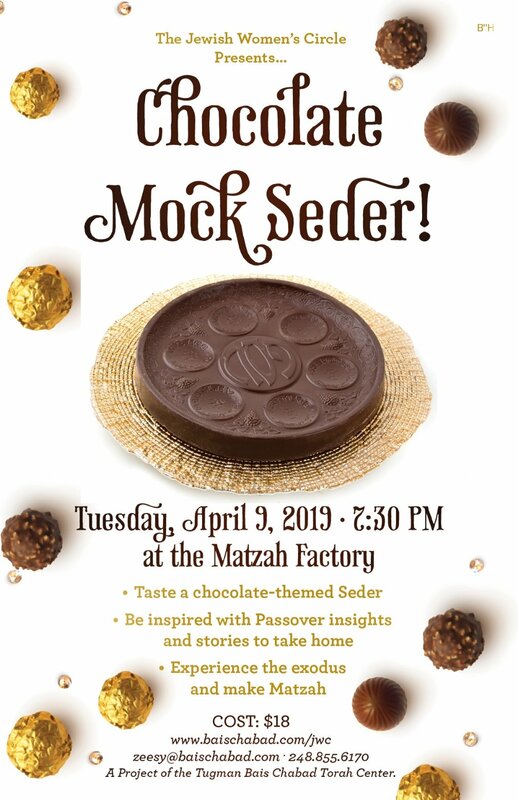 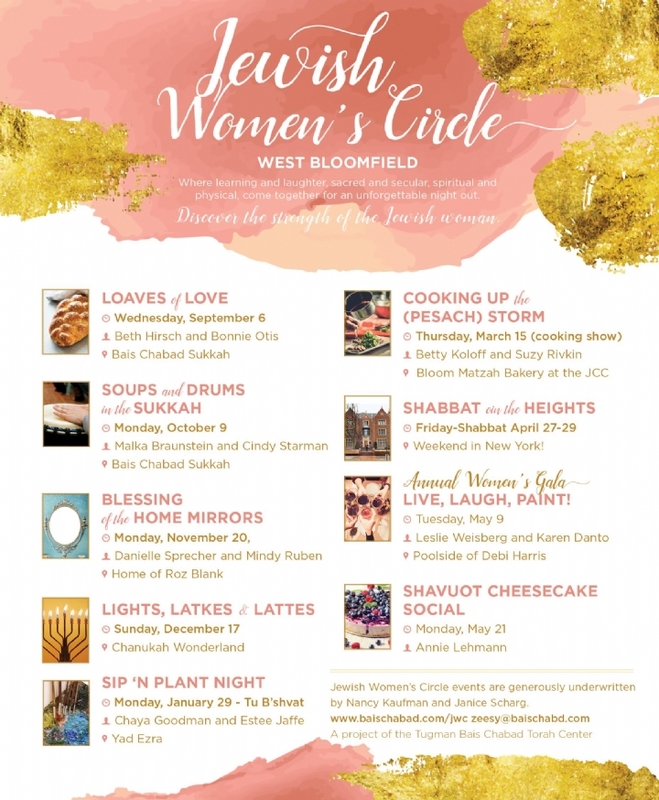 The Jewish Women's Circle events are generously underwritten by Nancy Kaufman and Janice Scharg. 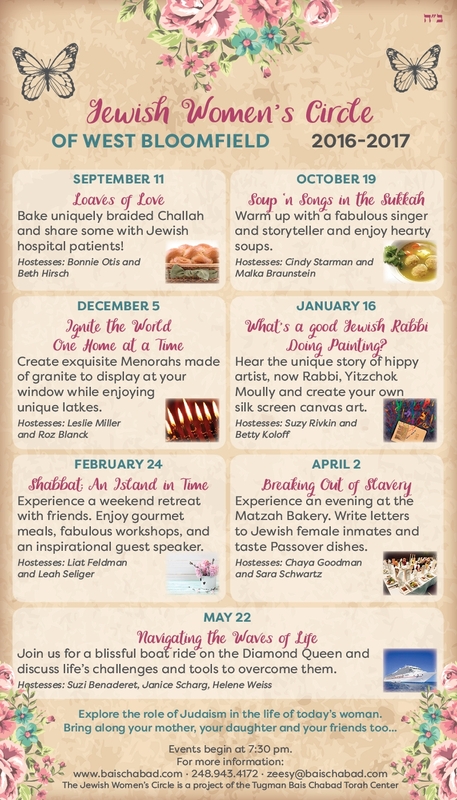 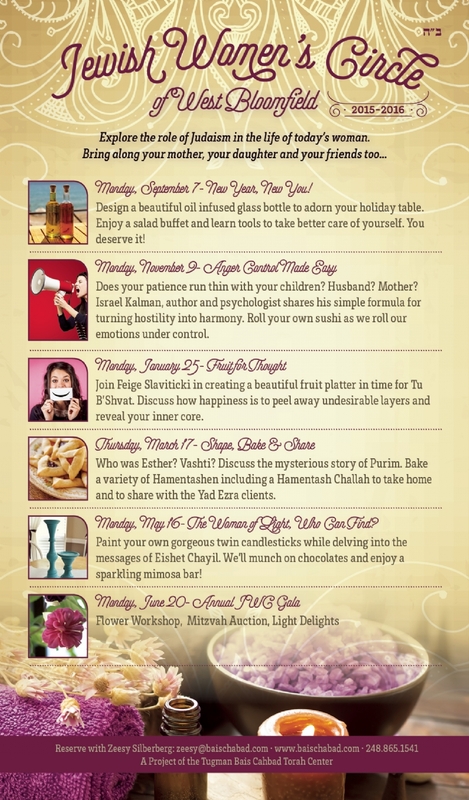 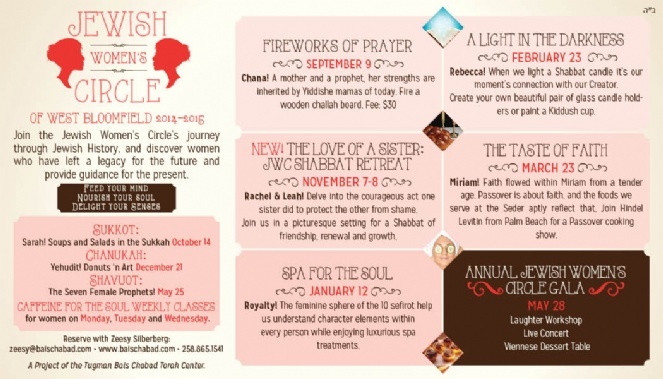 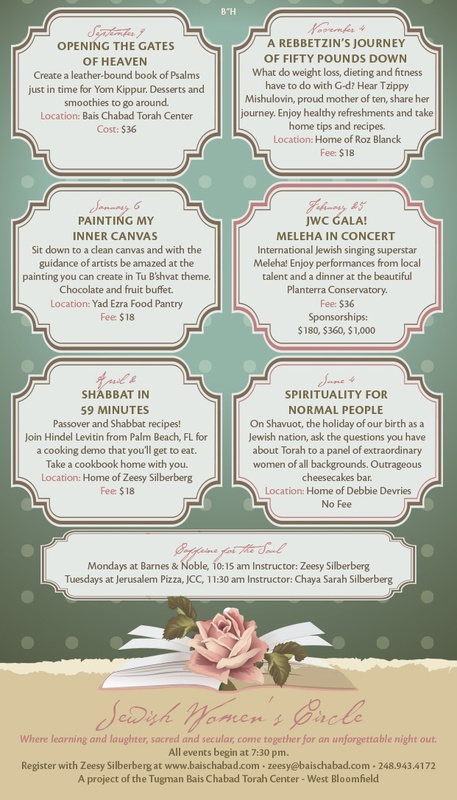 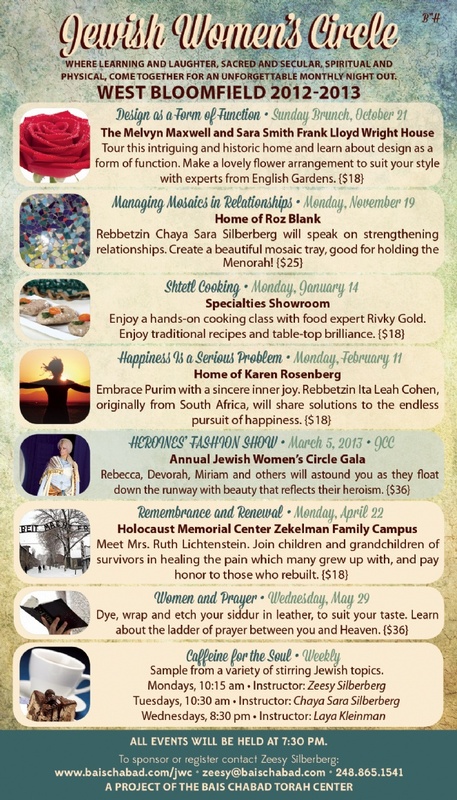 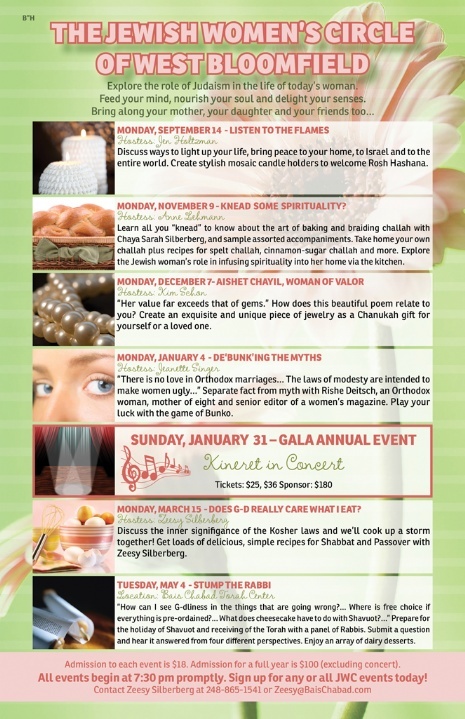 JEWISH WOMEN'S CIRCLE CALENDAR 2015-2016! 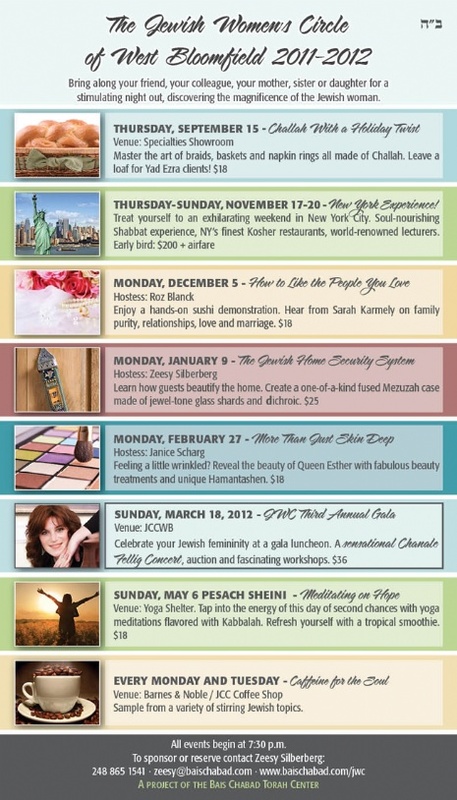 CHECK OUT PAST EVENTS HERE.